Stand out. Get noticed. Get read. These tasks are always present and always difficult in direct mail. While clients love the targeting ability and efficient cost structures of direct mail, they know there is a risk of getting lost in the clutter. Klaben, wanted to leverage the power of direct mail and they wanted a solution that worked. 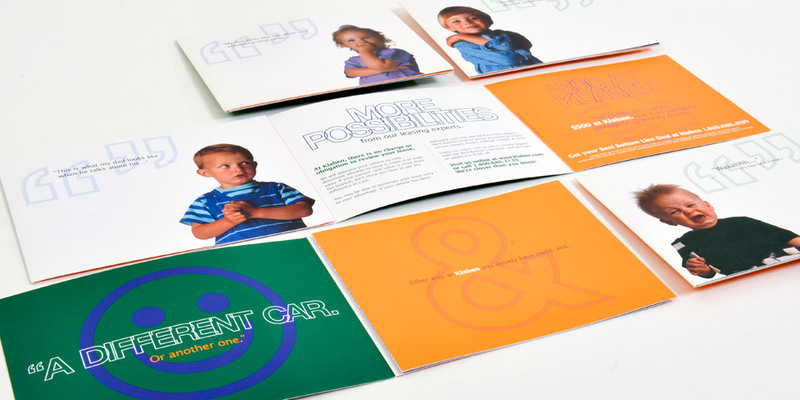 Boom Creative is a design firm with a deep expertise in direct mail. We work with printing and fulfillment companies to provide strategic, efficient and on budget direct mail programs.